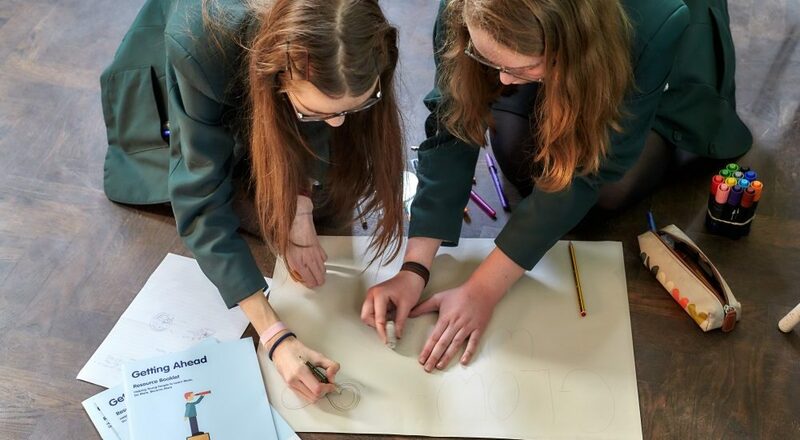 Aided by our business volunteers, we deliver a unique and comprehensive programme of specialised workshops and conferences throughout local secondary schools, designed to improve employability skills. Getting Ahead prepares students for the world of work by encouraging them to think about the skills and qualities they have, as well as those they may need to develop or improve. There are usually around 60 to 70 students, 14 to 15 years old, divided into teams of 6 to 7. Teams are supported by business volunteers and the overall event is run by an experienced Tower Hamlets Education Business Partnership facilitator. The activities are short, active and fun, and students get to build a relationship with the volunteers over the day and find out more about the volunteer’s own work/life experiences. Head to Head is an interview skills programme tailored for pupils in secondary school or college that are about to go on work experience, apply for jobs or gain access to higher education. Every year, around hundreds of business volunteers interview over 2000 pupils in Years 10-12 (aged 14-17)! Each interview is scheduled to last approximately 30 minutes – 5 minutes beforehand to read the pupil’s CV, 15–20 minutes of interview time to draw out key skills such as evidence of teamwork, communication, organisational skills, etc. and 5 minutes for feedback so you can help highlight areas for future development. Whatever the future career plans of young people might be, they benefit greatly from developing key enterprise skills and improved financial literacy. Our Enterprise Skills and Financial Literacy portfolio introduces key skills to 11 to 16 year olds in an interactive and enjoyable way. Our online booking makes it easy to choose the event, date and location to suit you. Volunteers should dress as they would for the office. Lunch will be provided.